I am currently trying to finish up my book on the history of Japanese film theory. One of the chapters I've recently worked on focused on Iwasaki Akira, arguably the most prominent leftwing critic in Japan from the 1920s to the 1970s. He’s both a legendary figure, one involved in many of the major trends in political cinema, as well as a contradictory one, as he problematically tread the spaces between cinematic art, Marxism, Soviet socialist realism, and humanism. Anastasia Fedorova has just published a fascinating book that accounts for part of the background for a person like Iwasaki. The title “Riarizumu no genso” can be translated as “The Illusion of Realism” and it offers a narrative that covers a significant aspect in Japanese cinema’s complex relation to realism: its interactions with Soviet cinema. She begins by detailing how Soviet avant-garde cinema and montage theory affected the mainstream Japanese film world in the 1920s and 1930s as a form of realism, one so powerful that there was even an early attempt at Japan-USSR collaboration in the 1933 travel film, Big Tokyo, directed by Vladimir Shneiderov (the book includes a transcript of the Soviet version of the film). 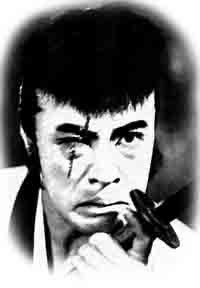 It was the failure of that film, she argues, that led to a different Japanese appropriation of Soviet film technique in the name of politics and national culture by the documentarist Kamei Fumio, who actually studied in Moscow. The story continues into the postwar, as she first shows how a different realism—socialist realism—affected postwar Japanese film, especially the leftwing independent films of the 1950s that have largely been ignored in scholarship in Japan and the USA. 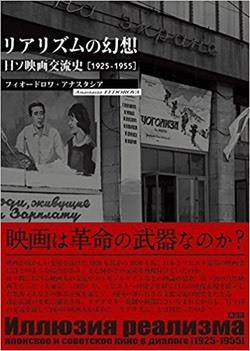 Then, in what is likely to be one of the book’s most significant contributions, she argues that Japanese leftwing films’ particular appropriation of socialist realism—her main example is Kamei’s Woman Walking Alone on the Earth (Onna hitori daichi o yuku, 1953)—subsequently affected Soviet film by showing Russian filmmakers what a post-thaw cinema could look like. The book is based on her dissertation at Kyoto University, which was written in English. She rewrote it in Japanese for publication, so we can hope that the English version will also soon find a publisher. Fedorova, who was a visiting scholar at Yale a few years ago, is a promising young researcher who currently teaches at the National Research University Higher School of Economics in Moscow (see her faculty page here), even though her education from high school on was in Japan.